Having a dazzling smile enables you to show to others that special look that you love. If you have looked in the mirror and felt that your smile ages you, a smile makeover may be the ideal solution for you. Restoring the beauty to your appearance is easier than ever at Fortitude Valley Dentist. We welcome you to schedule a time to sit down with a dentist for a chat. We will complete a full examination of your mouth, your facial aesthetics and your bite. We look at the relationship between the muscles of your face your teeth and your jaw joint. With this information, we can advise you on all the options that modern dentistry can provide and help you select the best option for you. Your dentist will create a Digital Smile Design for you, allowing you to see a before and after picture of your look. We’ll present all possible options to you so that you can decide which solution is best for you. Then, we can begin the treatment. You may be wondering which of our cosmetic dentistry options can be used in your smile makeover. Most commonly, we recommend teeth whitening, crowns and bridges, dental implants and veneers, used in combination to get you the best possible results. 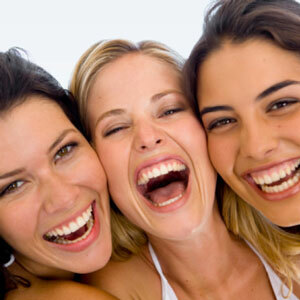 It depends on your level of oral health and what you wish to achieve with your smile makeover. Each makeover is personalized to the individual to reach your goals. Get a beautiful smile with the help of our knowledgeable team. Health funds are accepted, and payment plans are available.